Zurich-based aviation consulting firm Amros-Global GmbH and Munich-based AviTrader CS GmbH announced the formation of a new cooperation to increase the portfolio of aviation consulting services. The new venture consolidates the extensive consulting expertise of both companies. 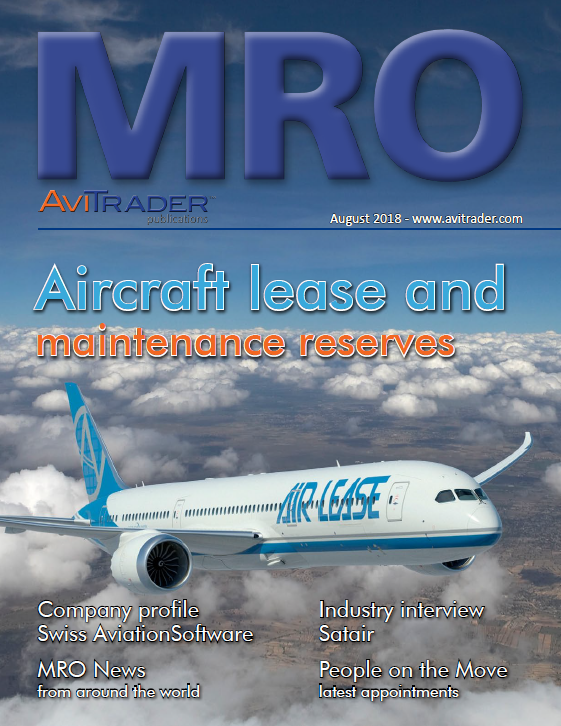 Amros-Global and AviTrader CS offers a one-shop-stop portfolio of aviation consulting services for airlines, MRO providers and aircraft leasing companies. The services focus on all commercial and technical aspects around aircraft and maintenance. “The synergies between both companies will help customers streamlining the sourcing of their adviser and consultant requirements. We see us as the partner for our customers, adding resources, expertise, project management skills and interim management solutions”, said Torsten Tamm, Managing Director AviTrader CS. AviTrader CS´s consulting roots go back to the year 2003. Today, all consulting activities of Tamm, Bresler & Associates Inc. and TBA Consulting Services GmbH have been consolidated under the brand AviTrader. Amros-Global has been founded in 2010 by former senior managers of Swissair and serves airlines and MROs around the globe. Atlas Air has entered into an agreement to add a second Boeing 747-400 Freighter for Asiana Cargo. The aircraft will be operated by Atlas Air and be flown on key global routes across the fast-growing transpacific market, connecting South Korea with several destinations in the United States. The aircraft is an incremental unit in Atlas Air's fleet in response to customer demand and will enter into service this month. The U.S. Federal Aviation Administration (FAA) has granted Boeing’s KC-46 tanker program a Supplemental Type Certificate (STC), verifying that its refueling and mission avionics systems meet FAA requirements. The milestone marks completion of KC-46 FAA certification. To receive its STC, Boeing’s team completed a series of lab, ground and flight tests, which commenced in 2015. As part of the required flight testing, the team validated the KC-46’s boom and drogue aerial refueling systems met FAA certification criteria. The STC is one of two required FAA airworthiness certifications. Boeing received an Amended Type Certificate for its core 767-2C aircraft configuration in December 2017. While those certifications cover most of the jet, not all military functions and equipment can be certified by the FAA. The U.S. Air Force also must grant a Military Type Certificate (MTC), which is expected in the coming months. Boeing’s team concluded MTC flight testing, which included the jet’s aerial refueling, defensive and other military-specific systems, in early July. Six aircraft have supported various segments of STC and MTC testing. Overall they have completed 3,500 flight hours and offloaded more than three million pounds of fuel during refueling flights with F-16, F/A-18, AV-8B, C-17, A-10, KC-10, KC-135 and KC-46 aircraft. The KC-46, derived from Boeing’s commercial 767 airframe, is built in the company’s Everett, Wash., facility. Boeing is currently on contract for the first 34 of an expected 179 tankers for the U.S. Air Force. International Airlines Group traffic in August has increased by 7.0% versus the same period in 2017, while Group capacity rose by 6.5%. The load factor for August was up 0.5 points to 87% compared to August 2017. Klaus Marx, Regional Station Manager Germany at Air France/KLM and Arne Kirchhoff, Group Director Commercial Airport Relations at Thomas Cook Group Airlines, are the new co-chairmen of the BARIG Charges Committee. Both managers are recognized airport and procurement experts with extensive international experience. Marx has been working for Air France since 1988 and has further been holding management positions at Air France/KLM since 1997. Kirchhoff held several leading positions at Lufthansa before taking over the Commercial Airport Relations sector at Condor in 2011. Since 2013, he is overseeing this subject for the entire Thomas Cook Group Airlines, which Condor is a part of. The BARIG Charges Committee consists of around 20 BARIG members who represent the association’s airline community of over 100 member airlines. Since the committee features continental, intercontinental, cargo and charter airlines, the diverse demands of all members are all represented towards airports, aviation authorities and on state as well as on federal level. Hong Kong Aircraft Engineering Company (HAECO Group) has entered into a long-term agreement with Astronics Connectivity Systems and Certification (çAstronics CSC), a wholly owned subsidiary of Astronics Corporation. Under the agreement, the two companies will establish a service centre in Xiamen, China to provide Astronics and its airline customers with Line Replaceable Unit (LRU) services in China and Asia Pacific. In accordance with the agreement, HAECO Group subsidiary HAECO Component Overhaul (Xiamen) will establish a fulfilment centre providing specialised engineering and component services, including testing, maintenance and repair for Astronics CSC’s Summit™ LRUs. As an authorised repair centre for a wide range of component OEMs, HAECO Component Overhaul (Xiamen) has a proven track record of serving the component repair needs of airlines in the region. Bombardier Business Aircraft and Garmin have announced a significant avionics upgrade for the Bombardier Vision flight deck aboard the Learjet 75 and Learjet 70 aircraft, which are already equipped with one of the category’s most generous and advanced cockpits, powered by the Garmin G5000 avionics suite. The upgrade, currently in flight testing, will enhance the aircraft’s capabilities for customers to access the most favourable routes as well as pave the way for future technological enhancements. The updated avionics suite will be offered on new Learjet 75 and Learjet 70 business jets with a retrofit on in-service models made available concurrently. The update to the popular Garmin G5000 avionics suite on the Bombardier Vision flight deck will bring workload reducing improvements, including climb, cruise and descent vertical navigation, enhanced take-off and landing performance calculations and much more. In addition, FANS 1/A+, which will enable customers to access the most efficient and favourable routes, will be offered as an option. It will ensure readiness for modernized airspace requirements and deliver efficiency gains that are expected to lower direct operating costs. Ryanair has released that August total traffic (including Lauda traffic) grew 9% to 13.8 million comapred to August 2017, with a 97% load factor. Ryanair traffic grew 5% to 13.3 million customers with a 97% load factor, while Lauda traffic was 0.5 million customers with a 92% load factor. ATC staff shortages and pilot strikes (10 Aug) caused almost 550 flight cancellations in August compared to just 27 cancellations in August 17. AerFin has continued to build upon its achievements of 2017, collecting further accolades for its tremendous growth rate as well as continuing to support its expansive global customer base through the provision of its aftermarket supply-chain solutions. On the services side of the business, British Airways’ subsidiary, BA CityFlyer joined AerFin’s BeyondPool™ component program in February to support its entire fleet of Embraer E-Jets. BeyondPool™ offers a fixed-cost solution to cover all component requirements of Embraer E-Jets and operates out of AerFin’s London Gatwick facility. This was followed up by the announcement in June that AerFin had signed a five-year contract to support IKAR Airlines’ fleet of seven Embraer E-Jets via its BeyondPool™ support programme. IKAR joins BA Cityflyer, which utilises the programme for its fleet of 20 Embraer E-Jets. Elsewhere, AerFin signed a three-year TrueChoice™ Material Service Agreement with GE Aviation in April, further enhancing its relationship with the aircraft engine OEM. The agreement is for serviceable OEM parts and advanced repair and technology upgrades for the CFM56, CF34 and engines (widely used in commercial and some military aircraft). On the acquisitions side of the business, the firm signed agreements on a selection of assets, particularly in the narrowbody market, including six Airbus A320 family airframes and several CFM56-5B, CFM56-7B and V2500 engines. 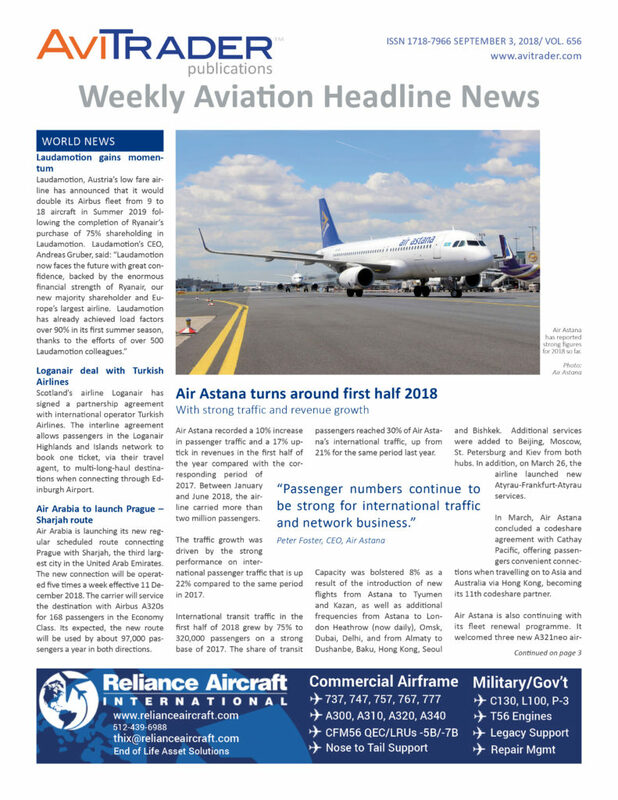 In June, AerFin took delivery of its 10th Embraer E170 from Saudi Arabian Airlines. The delivery forms part of the fleet of 15 Embraer E170-LR aircraft acquired in 2017 Q2, which also included spare parts, engines, tooling and equipment required to support the entire fleet. The acquisition of the 15 aircraft from Saudi Arabian Airlines was a significant moment in AerFin’s history, as it was not only the first major global fleet phase-out of the E-Jet product type, but it also pioneered an entire new aftermarket for the E-Jet, allowing AerFin to provide cost-saving solutions that were not previously available to operators. AerFin completed the outright sale of Airbus A340-300, MSN 208 to European Aviation Air Charter, also in June. The aircraft was part of the original fleet of 11 A340-300 aircraft that AerFin acquired from Hong Kong airline, Cathay Pacific in 2014. In addition, AerFin leased four and sold 20 engines, including V2527-A5, CF34-8E and CFM56-5C in the first half of 2018. The engine leases and sales add to the strength and breadth of service solutions that AerFin brings to the market, not only in the sale of whole aircraft, but across other components as well. Spatial, a provider of cabin crew training simulators, has announced that Aircalin has selected it to manufacture a Cabin Emergency Evacuation Trainer (CEET) and Cabin Service Trainer (CST). The hybrid A320 / A330 CEET will enable Aircalin’s cabin crew to be comprehensively trained in all safety and emergency procedures (SEPs) for both aircraft types including door and exit operation, evacuation procedures and fire and smoke training. Custom-designed to provide a hyper-realistic training environment, the simulator will include a sound simulation system, window visuals and dual land training slide – all controlled by an easy-to-use, intuitively designed Instructors Operator Station (IOS). Manufactured to meet Aircalin’s exact crew service training requirements, the A330 CST will ensure that trainees fully understand the passenger cabin layout and cabin systems of this aircraft type by familiarising them with cabin lighting, call lights, communications system, galley, lavatories and business and economy class seating. The highly realistic training environment will ensure Aircalin’s crew are effectively trained to deliver the highest levels of on-board service and cabin management. Once completed, the two simulators will be shipped and installed at Aircalin’s crew training facility in New Caledonia.